Harry A. Strausser III - For the Industry. By the Industry. Harry is currently Director of Education and Membership Development at ACA International Inc. He is a second-generation collection professional and held the position of President of two successful collection firms until the sale of those firms in May 2017. 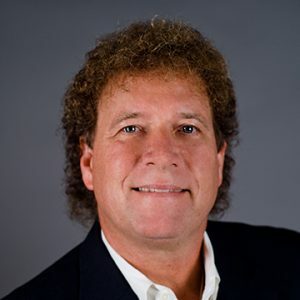 Throughout his career Harry was active in the Mid-Atlantic Collectors Association where he served as President, and ACA International, Inc., the association of credit and collection professionals, in which he is a Senior Certified Trainer. He has served on the ACA International Executive Committee and held the position of President in 2004-2005.He is a member of the International Fellowship of Certified Collection Executives and holds the Master Credit Executive distinction. In 2010, he was one of the first business professionals in the industry to receive the Credit and Collection Compliance Officer designation. Harry holds an MA in communication from Bloomsburg University of Pennsylvania and a BS in business administration from the same institution. He has served as a full-time adjunct professor for the Department of Communication Studies at Bloomsburg University where he taught interpersonal communication, public speaking, and corporate communication. He has traveled extensively across the United States and internationally during which he has conducted over 1000 educational and motivational programs for associations, private enterprises, conferences, and public seminar events. Harry enjoys travel, music, working outdoors at his home, and spending time with his three golden retrievers, Tindaqwae (Tin- Dah-Quay), Ausha and Luna.